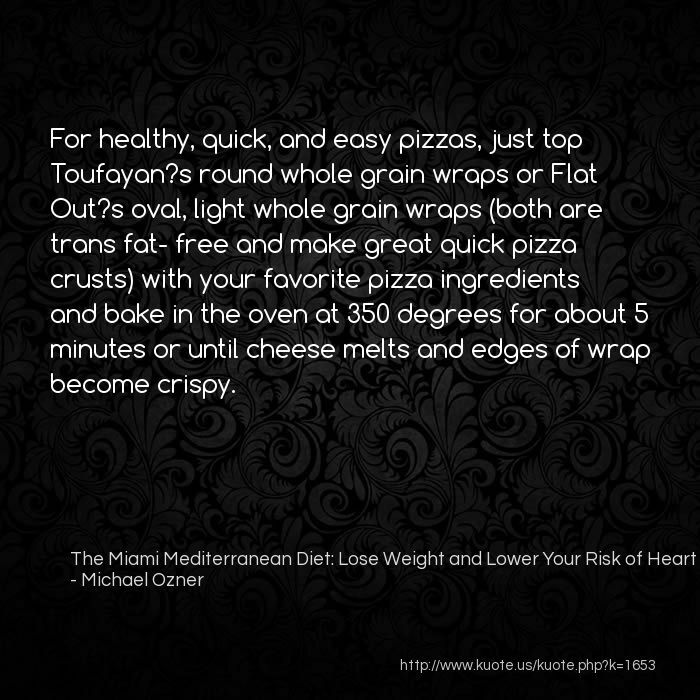 For healthy, quick, and easy pizzas, just top Toufayan?s round whole grain wraps or Flat Out?s oval, light whole grain wraps (both are trans fat- free and make great quick pizza crusts) with your favorite pizza ingredients and bake in the oven at 350 degrees for about 5 minutes or until cheese melts and edges of wrap become crispy. 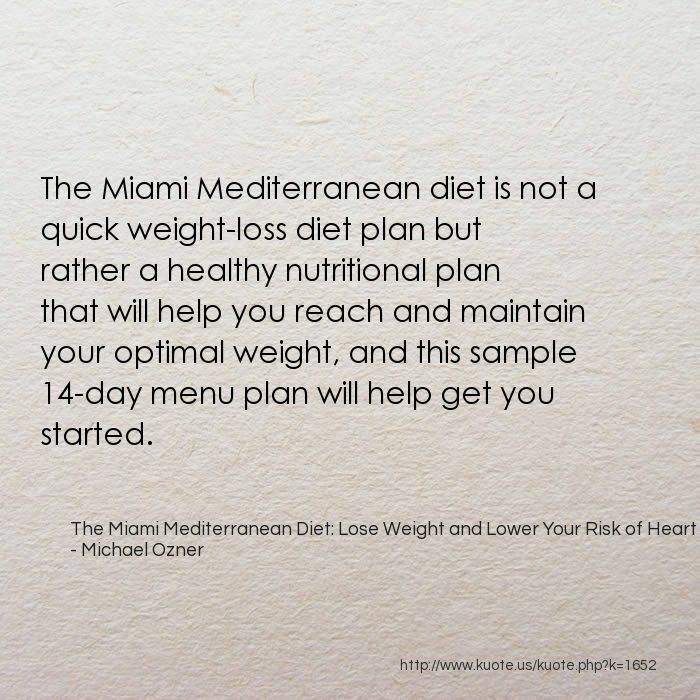 The Miami Mediterranean diet is not a quick weight-loss diet plan but rather a healthy nutritional plan that will help you reach and maintain your optimal weight, and this sample 14-day menu plan will help get you started. 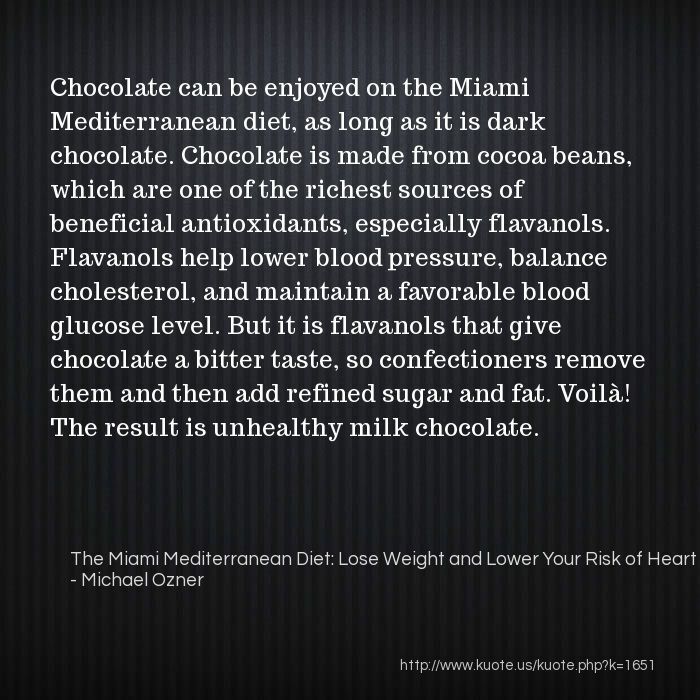 Chocolate can be enjoyed on the Miami Mediterranean diet, as long as it is dark chocolate. Chocolate is made from cocoa beans, which are one of the richest sources of beneficial antioxidants, especially flavanols. Flavanols help lower blood pressure, balance cholesterol, and maintain a favorable blood glucose level. But it is flavanols that give chocolate a bitter taste, so confectioners remove them and then add refined sugar and fat. Voilà! The result is unhealthy milk chocolate. 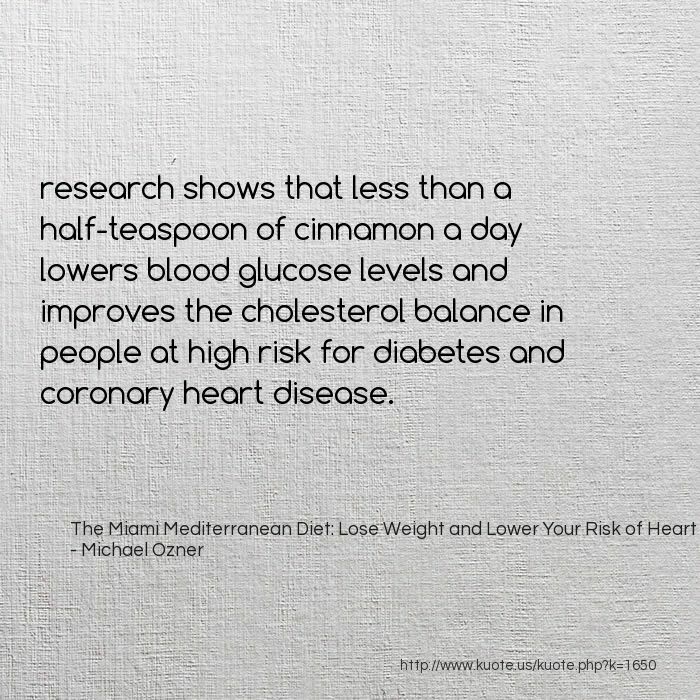 research shows that less than a half-teaspoon of cinnamon a day lowers blood glucose levels and improves the cholesterol balance in people at high risk for diabetes and coronary heart disease. 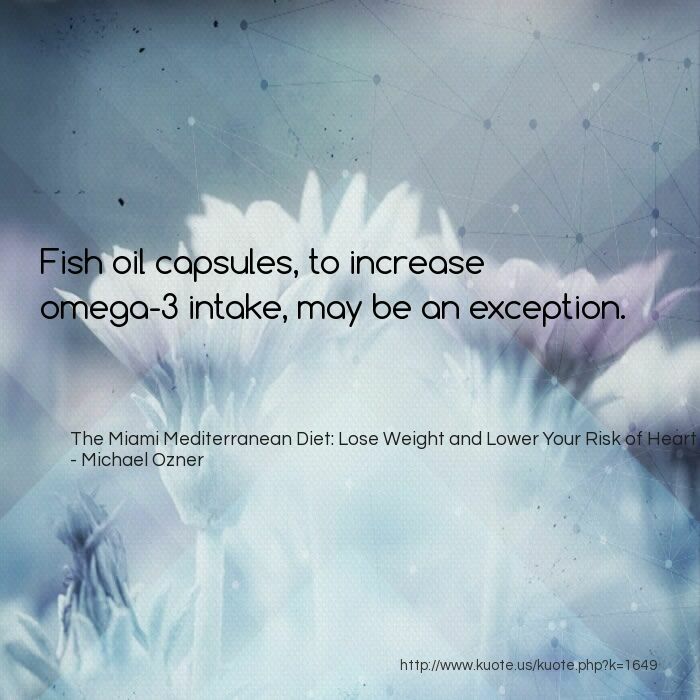 Fish oil capsules, to increase omega-3 intake, may be an exception. 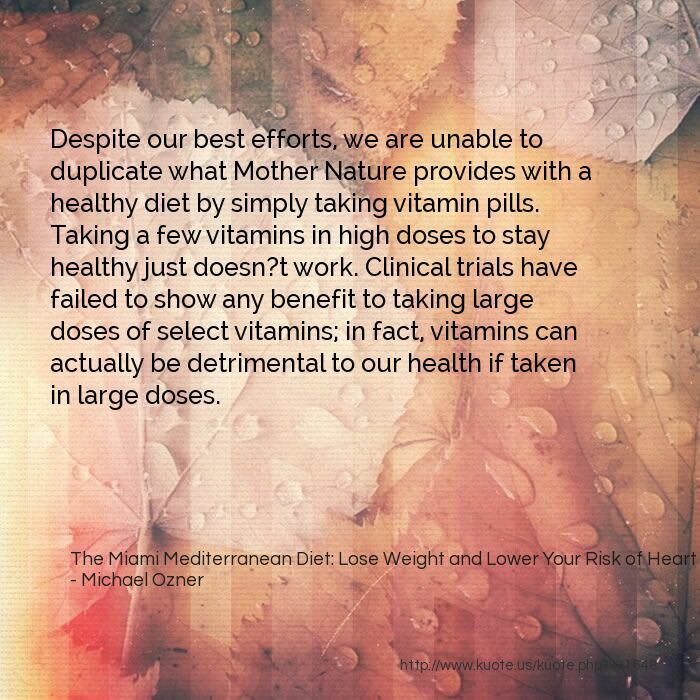 Despite our best efforts, we are unable to duplicate what Mother Nature provides with a healthy diet by simply taking vitamin pills. Taking a few vitamins in high doses to stay healthy just doesn?t work. Clinical trials have failed to show any benefit to taking large doses of select vitamins; in fact, vitamins can actually be detrimental to our health if taken in large doses. 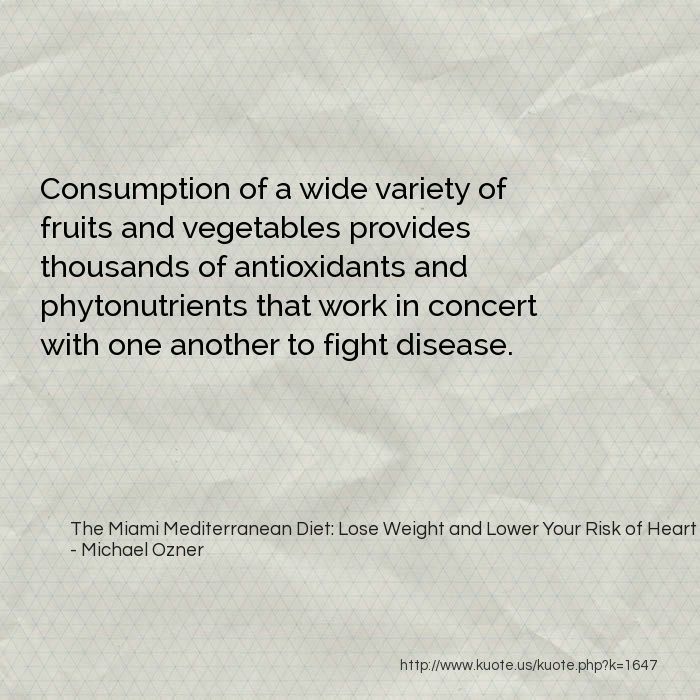 Consumption of a wide variety of fruits and vegetables provides thousands of antioxidants and phytonutrients that work in concert with one another to fight disease. Antioxidants are the body?s defense system?they combat and quench the biochemical fires that result from free radical formation. In fact, antioxidants can deactivate free radicals before extensive damage can been done. Antioxidants are capable of donating an electron to free radicals, thereby neutralizing them and ending the electron-stealing chain reaction that would otherwise take place. 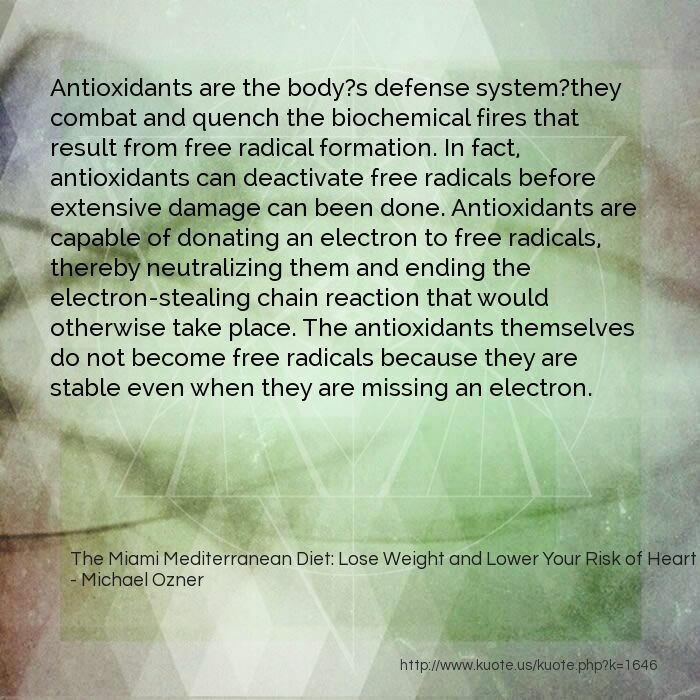 The antioxidants themselves do not become free radicals because they are stable even when they are missing an electron. we are adding thousands more free radicals into our bodies through environmental toxins, and our body isn?t equipped to handle them alone. That?s why it?s so important to take in additional antioxidants in the form of fruits and vegetables. 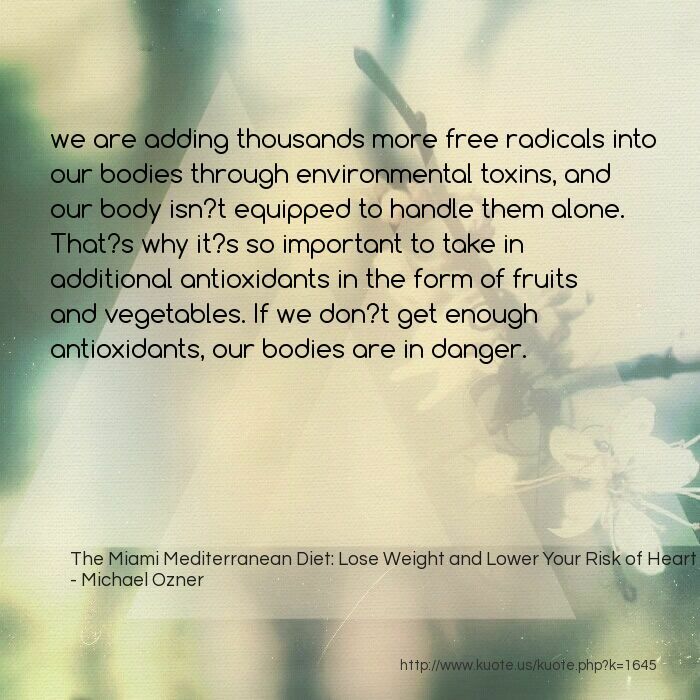 If we don?t get enough antioxidants, our bodies are in danger. Free radicals are unstable atoms continuously produced as a byproduct of oxygen, as oxygen is used for fuel in the human body. In a stable atom, the nucleus is surrounded by a cloud of paired electrons. Free radicals, in contrast, are atoms that contain an odd number of electrons, meaning that one pair is missing an electron. 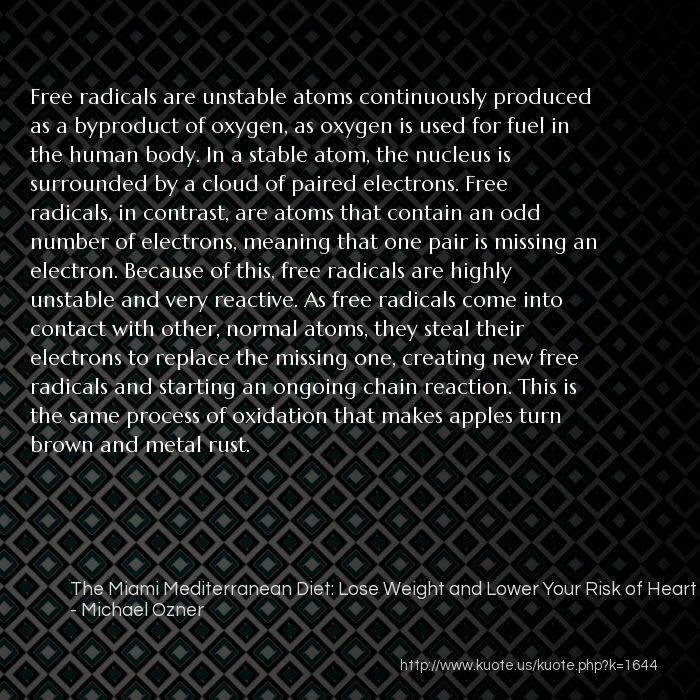 Because of this, free radicals are highly unstable and very reactive. As free radicals come into contact with other, normal atoms, they steal their electrons to replace the missing one, creating new free radicals and starting an ongoing chain reaction. This is the same process of oxidation that makes apples turn brown and metal rust. If you must consume milk, enjoying fat-free or skim milk in moderation makes more sense. 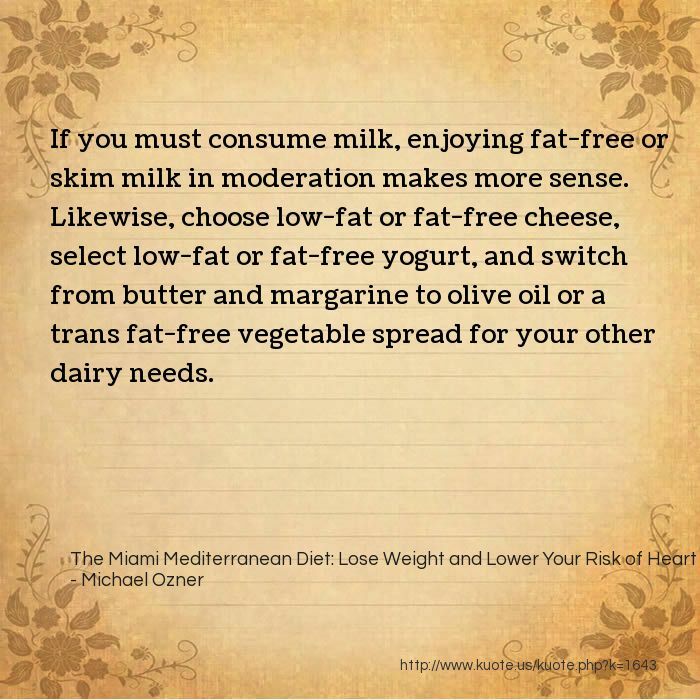 Likewise, choose low-fat or fat-free cheese, select low-fat or fat-free yogurt, and switch from butter and margarine to olive oil or a trans fat-free vegetable spread for your other dairy needs. Both coffee and tea can be enjoyed hot or iced, and both also contain antioxidants and chemicals that have been found to reduce the risk of diabetes, gallstones, and kidney stones. 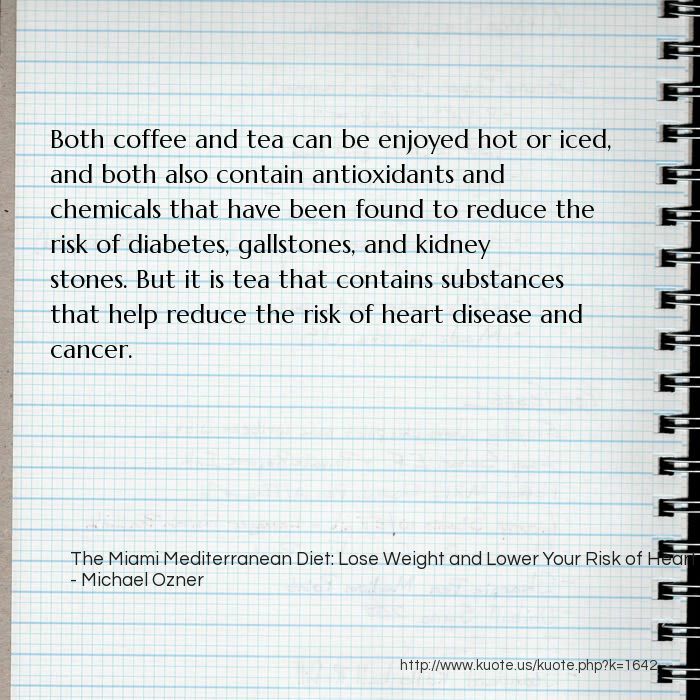 But it is tea that contains substances that help reduce the risk of heart disease and cancer. 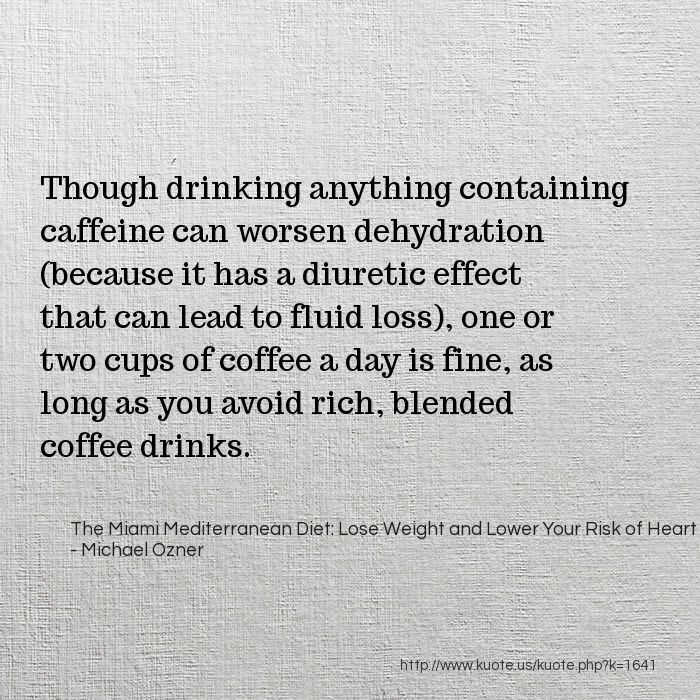 Though drinking anything containing caffeine can worsen dehydration (because it has a diuretic effect that can lead to fluid loss), one or two cups of coffee a day is fine, as long as you avoid rich, blended coffee drinks. 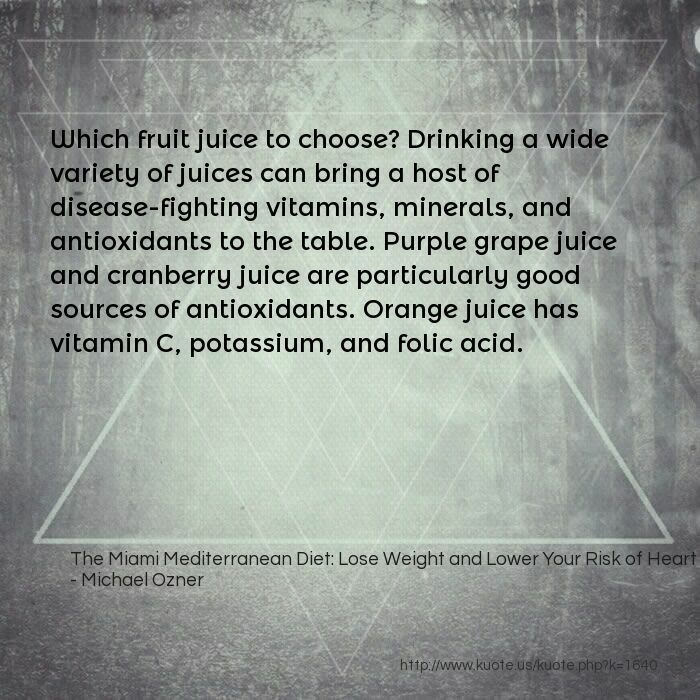 Which fruit juice to choose? Drinking a wide variety of juices can bring a host of disease-fighting vitamins, minerals, and antioxidants to the table. Purple grape juice and cranberry juice are particularly good sources of antioxidants. Orange juice has vitamin C, potassium, and folic acid. Sometimes it?s difficult to distinguish whether you are hungry or thirsty. 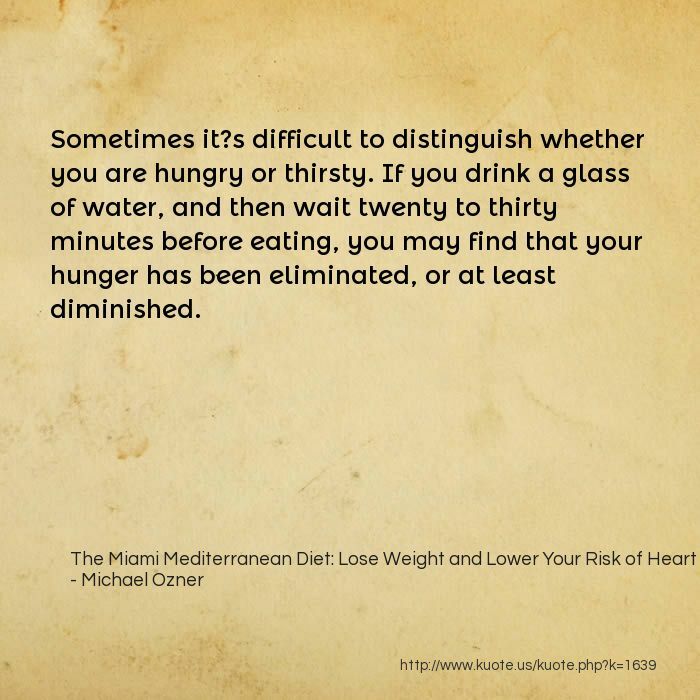 If you drink a glass of water, and then wait twenty to thirty minutes before eating, you may find that your hunger has been eliminated, or at least diminished. 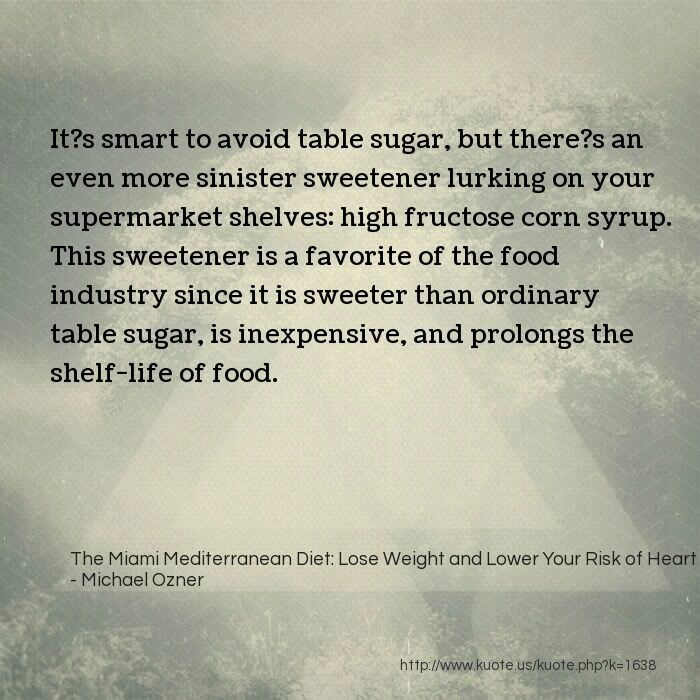 It?s smart to avoid table sugar, but there?s an even more sinister sweetener lurking on your supermarket shelves: high fructose corn syrup. This sweetener is a favorite of the food industry since it is sweeter than ordinary table sugar, is inexpensive, and prolongs the shelf-life of food. 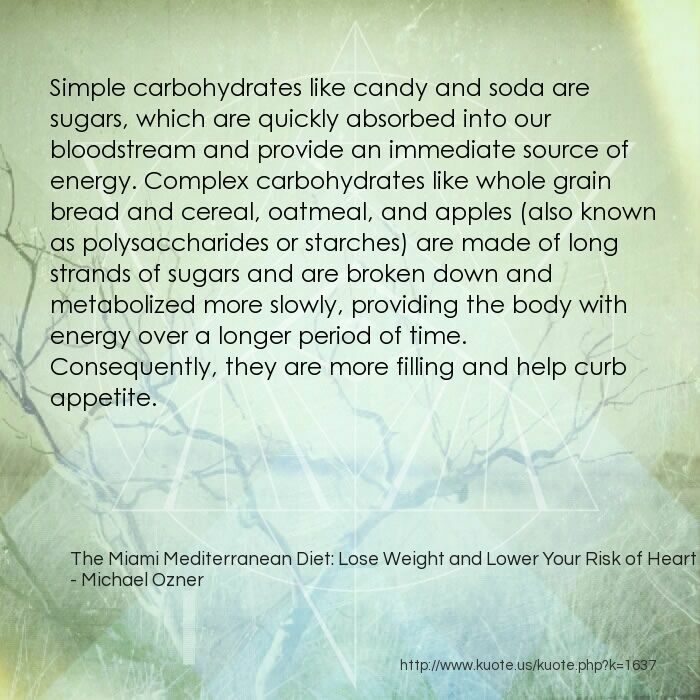 Simple carbohydrates like candy and soda are sugars, which are quickly absorbed into our bloodstream and provide an immediate source of energy. Complex carbohydrates like whole grain bread and cereal, oatmeal, and apples (also known as polysaccharides or starches) are made of long strands of sugars and are broken down and metabolized more slowly, providing the body with energy over a longer period of time. 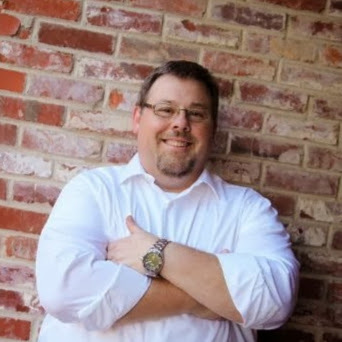 Consequently, they are more filling and help curb appetite. The ratio of omega-3 to omega-6 in our body is important to health maintenance: omega-3 fat is anti-inflammatory, whereas omega-6 fat is pro-inflammatory. 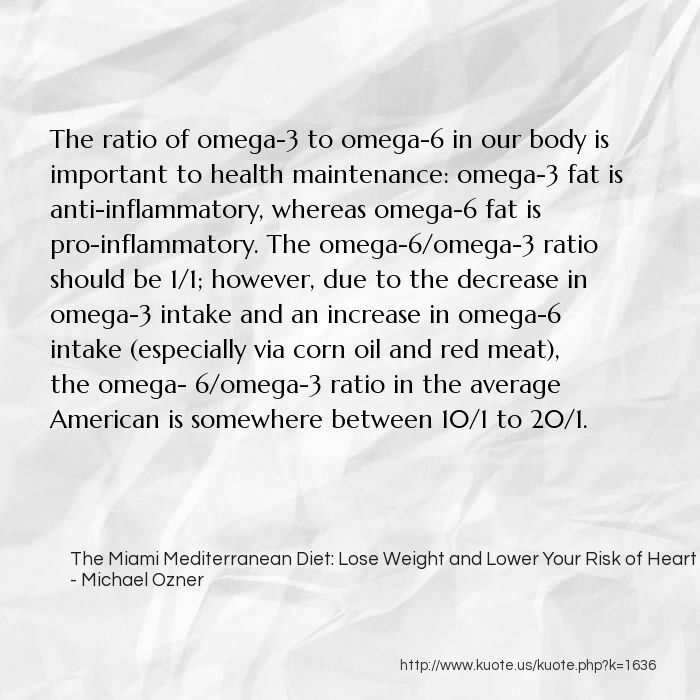 The omega-6/omega-3 ratio should be 1/1; however, due to the decrease in omega-3 intake and an increase in omega-6 intake (especially via corn oil and red meat), the omega- 6/omega-3 ratio in the average American is somewhere between 10/1 to 20/1. Unsaturated fats, including polyunsaturated fats and monounsaturated fats, are good fats. 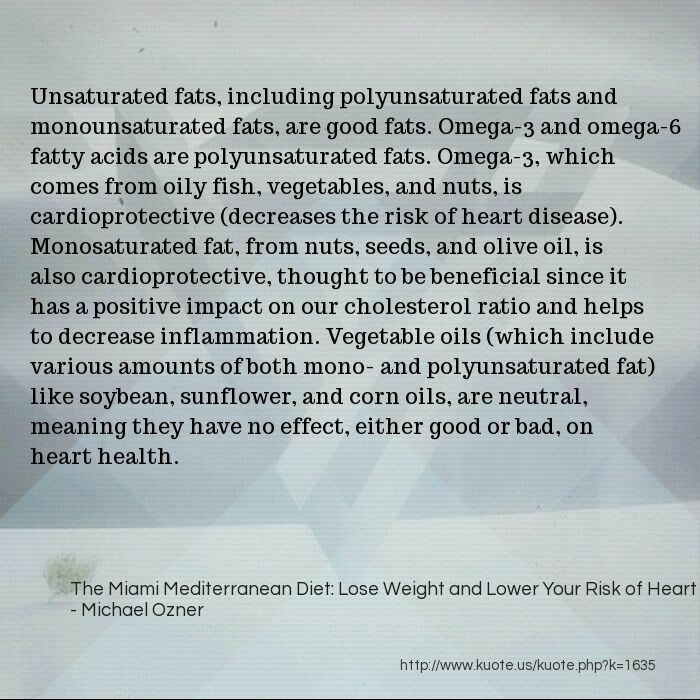 Omega-3 and omega-6 fatty acids are polyunsaturated fats. Omega-3, which comes from oily fish, vegetables, and nuts, is cardioprotective (decreases the risk of heart disease). Monosaturated fat, from nuts, seeds, and olive oil, is also cardioprotective, thought to be beneficial since it has a positive impact on our cholesterol ratio and helps to decrease inflammation. Vegetable oils (which include various amounts of both mono- and polyunsaturated fat) like soybean, sunflower, and corn oils, are neutral, meaning they have no effect, either good or bad, on heart health. 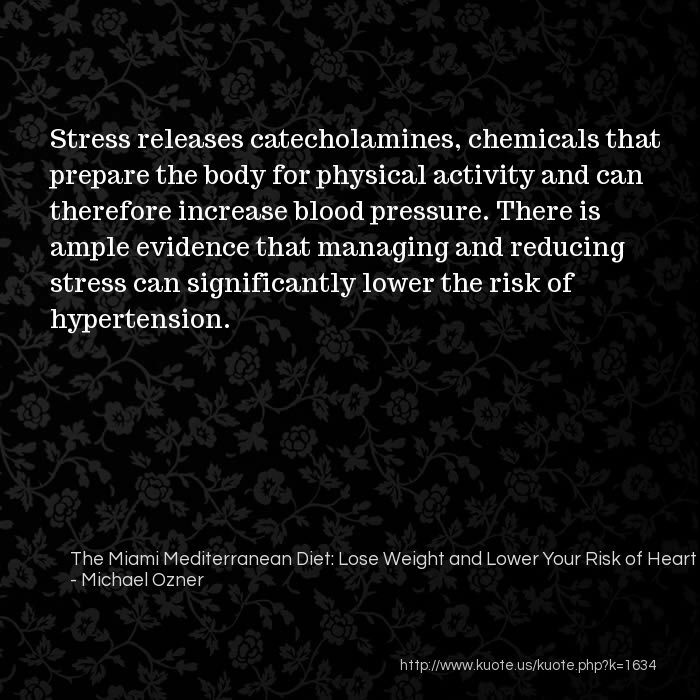 Stress releases catecholamines, chemicals that prepare the body for physical activity and can therefore increase blood pressure. There is ample evidence that managing and reducing stress can significantly lower the risk of hypertension.